Islamic presence in China is as old as Islam itself. 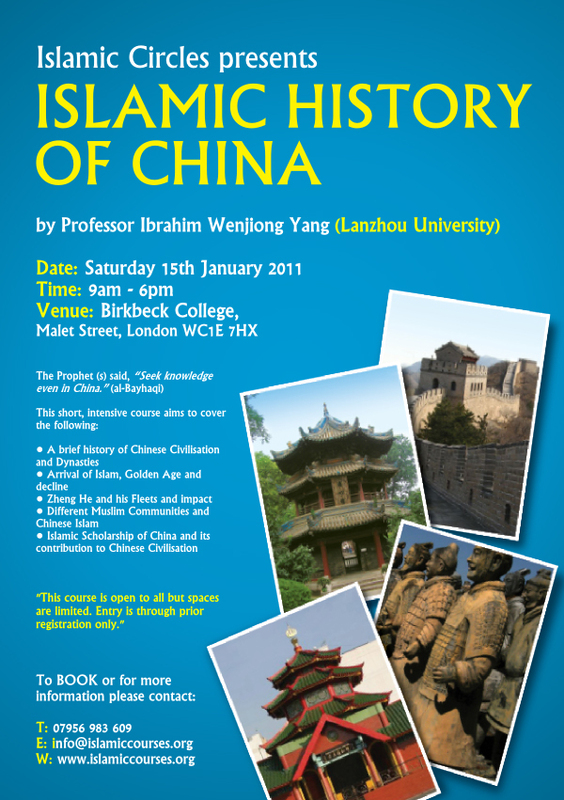 With over 1200 years of Sino-Islamic relations, ranging from the early da’wah efforts of the companion, Sa’d ibn Abi Waqqas (ra), to the pioneering journeys of the greatest naval commander in Chinese history, Admiral Zheng He, to the fact that there are some 100 million Muslims living China today. 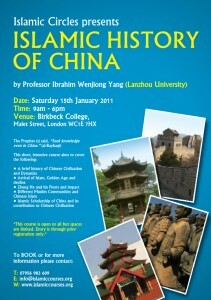 Islam and Muslims have made a significant contribution to China and Chinese Civilisation and vice versa. Muslims have a rich and unique relationship with China. - Islam and relationship with other faiths such as Confucianism, Taoism, and Buddhism. Professor Ibrahim Wenjiong Yang has been engaged in anthropological research and teaching. He has interests in cultural anthropology, anthropology of religion, ethnic relations, urbanization, tradition and modernity as well as focus on Islam and Muslim ethnic minorities in China with interdisciplinary and comparative perspectives.He completed his academic studies at the Northwest University for Nationalities and Lanzhou University in China, where he now currently teaches. He has undertaken a number of significant research projects and his works have received many important awards.Some of his selected publications include: Interaction Adaptation and Reconstruction: A Study of Northwestern Urban Hui Muslim Community and Its Cultural Transition (2009); The History and Culture of Hui Muslim People in China,(2006).